/Planners /Can I select a different size for my planner? We offer two sizes for the Planners – 6″ x 8″ and 8.5″ x 11″. The sizes are noted below each design when browsing through the website. Any of our planner designs can be ordered in either size, though. 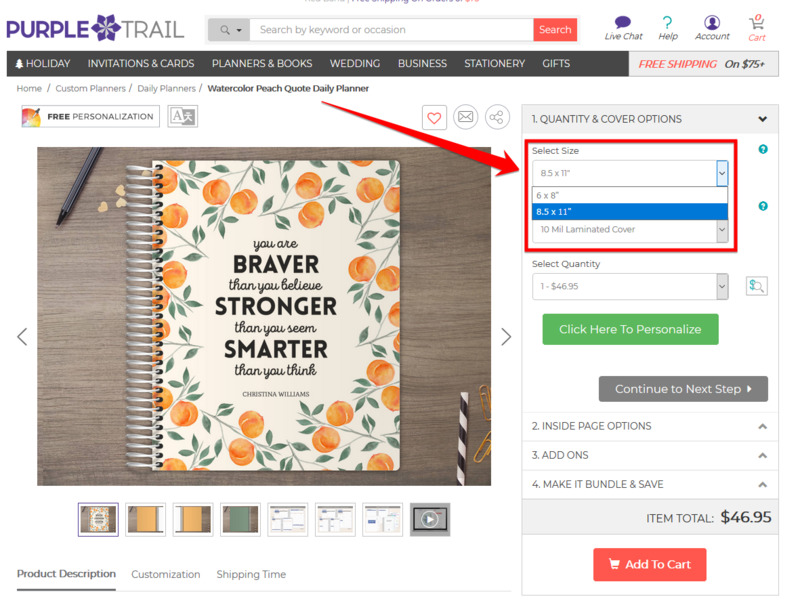 You are able to designate the size you’d like to order when adding it to your cart. If there’s a design that doesn’t give you both size and cover options, let us know, and we’ll fix it for you.